And so, my mind, without really moving matter, transforms it. 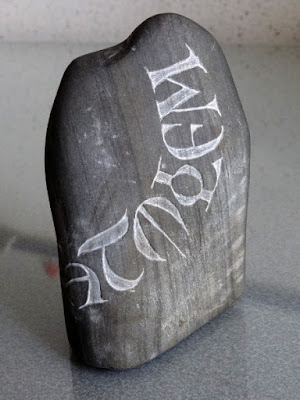 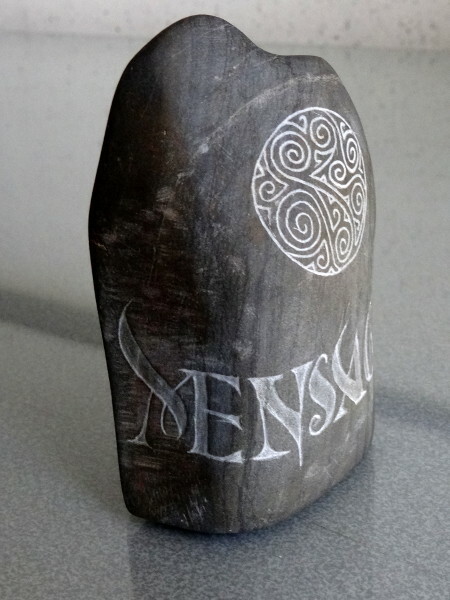 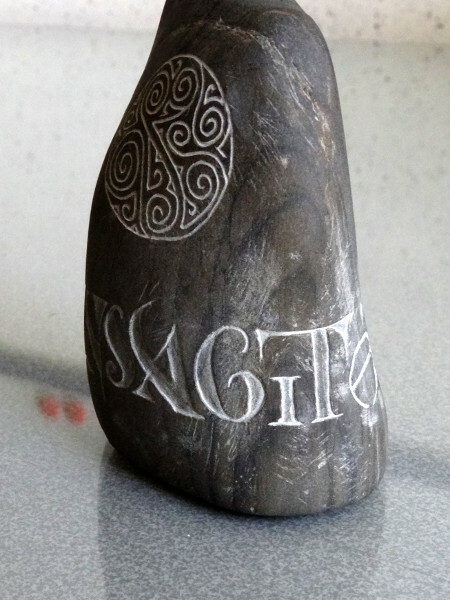 It is a shale pebble, hand engraved with my faithful butter knife and a nail for the filigree pattern. 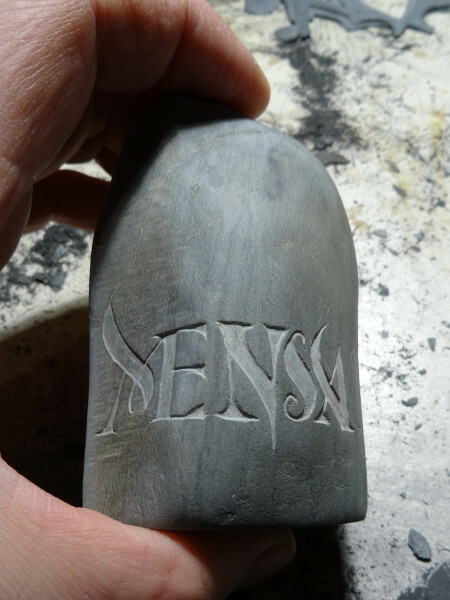 And to give you an idea of the size, one last picture of the work when it was in progress and I was holding the pebble in my hand.